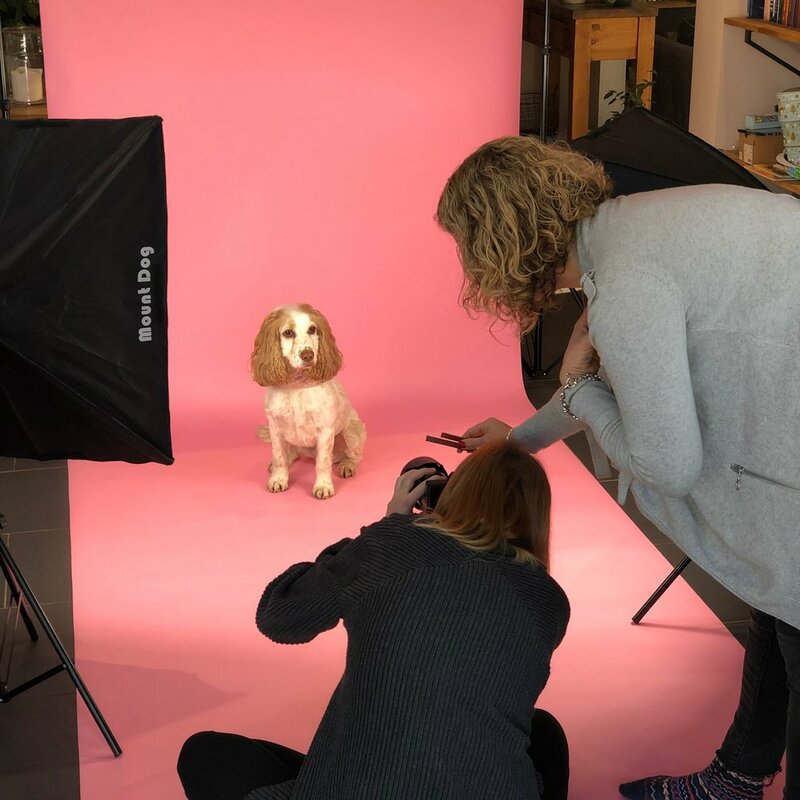 First step is to book a session – choose from a choice of two packages and we’ll discuss how to tailor your Studio Woof studio session to you and your pets needs. We shall set a shoot date and payment will be required upon booking. Now for the fun part! I will travel to you and set up my portable studio in your home. The shoot will last around one hour. The most important thing is that your dog is comfortable in the environment as happy animals make for great photos! We’ll invite you to view the gallery online, where you can download a maximum of 5 high resolution, professionally processed images. We can then discuss and advise on the best art work to really showcase your pets photographs. Copyright © 2018 Studio Woof.